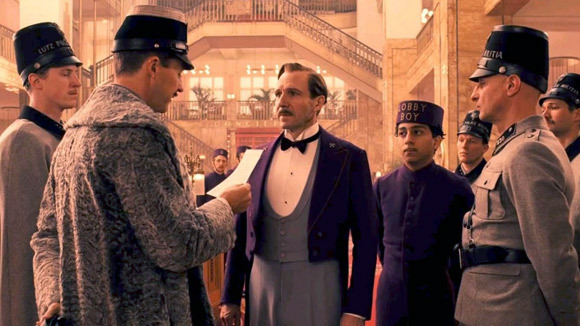 Logline: Zero Mustafa recounts the tale of his adventures serving as a bellboy at the Grand Budapest Hotel under the famous concierge, Gustave M, who dominates the story. When an inheritance is left to the famous concierge, the greedy son sends out his agent to destroy Gustave, and a madcap caper ensues. It seems that Wes Anderson films are an acquired taste. They are consistently distinct and unusual whimsical comedies, with stylised sets and locations, and a yearning nostalgia for something other. However, I think whimsy is a thing that a lot of people just don’t get, and he has often been accused of being a self indulgent director. If you didn’t like his other films, you certainly won’t like this one, and yet, I loved it. Perhaps because it is in so many ways like classic caper films, such as The Lady Vanishes (1938) or The 39 Steps (1935), but made very much the directors own. As usual, his characters were vividly drawn, and played by an ensemble, some of whom will be familiar to you from other Wes Anderson films. 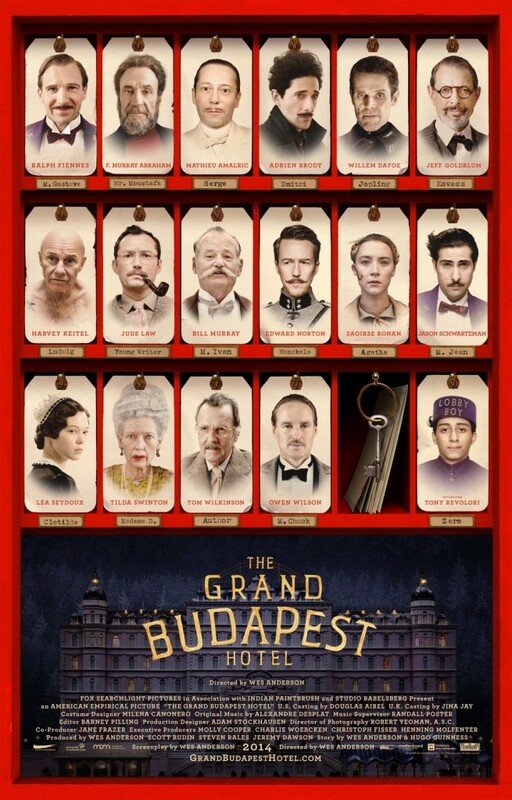 The two leads are brilliant, Ralph Fiennes playing the role of the concierge, Gustave H, who is both lovable and conceited, and newcomer Tony Revolori playing a bellboy called Zero, who idolises his patron. The story is bookended oddly, with a girl reading a book of the story of Gustave, at the grave of a man who wrote a famous book about the story he heard from an aging Zero over dinner whilst staying at the faded hotel in the 60’s, when it was past it’s glory days. You might have to read that sentence twice, but it’s the kind of little flourish that makes this film so delightful: It never wanders from this silliness into taking itself seriously. Zero, then, narrates the story to us of his coming to be employed at the hotel, and the nature of Gustave H, whom he comes to know very well, when the famous concierge takes him under his wing. Gustave is intimately involved with the lives of his patrons, particularly aging wealthy blondes, one of whom leaves him a valuable painting in her will, which angers her son. At her funeral and wake, they steal the painting, which leads the bereaved son to send out an evil henchman after them and the document that is hidden, unbeknown to them, in the painting. When Gustave is accused and arrested, Zero sets out to free his friend and mentor, and help him clear his name. There’s something so beautiful about the way in which the director evokes an era in such a manner that we are looking back on it, without really being shown the exact reality of it. It’s evocative, faded and nostalgic, rather than being accurate. The sets always have the feel of an overgrown dollhouse or the film sets of perhaps the 50’s or earlier. And yet, it never feels stagey. You are completely drawn in to the reality of the characters world. The dialogue is wonderful, especially as all the performances are so good. The characters are subtly but distinctly drawn through their responses, and the humour flows naturally from what we know of them and their awkwardness, without making them pure figures of fun: we care about them achieving their dreams and goals. It’s a wonderful piece of film making, with a flavour of classic Hollywood, filtered through the remarkable brain of Wes Anderson. I highly recommend it.